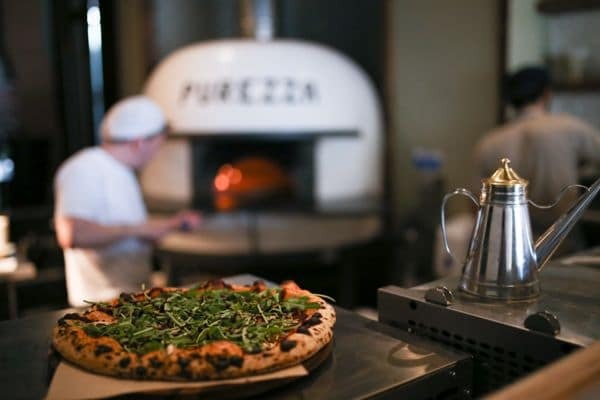 Purezza Brighton (purity) was formed by Stefania Evangelisti and Tim Barclay in 2015, setting out with the aim of providing a range of exciting Italian plant based, vegan options to the UK. For those that are vegetarian, vegan or gluten intolerant eating out can often be a challenge. 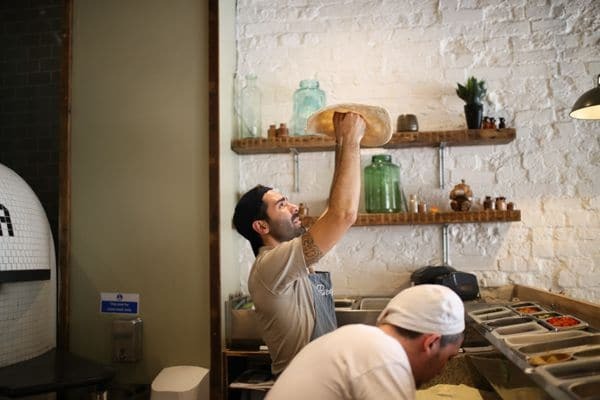 This is particularly true of pizzerias where vegan foods are often prepared on the same surfaces as other dishes increasing the risk of cross contamination. 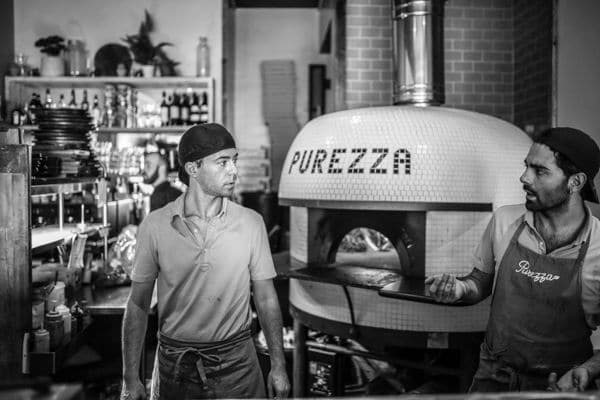 Purezza has changed this, by creating a destination where everyone can enjoy high quality Italian food, cooked by top Italian chefs, in the comfort of a completely animal free zone (and mostly gluten free too). Food is not only healthier (and tastier!) 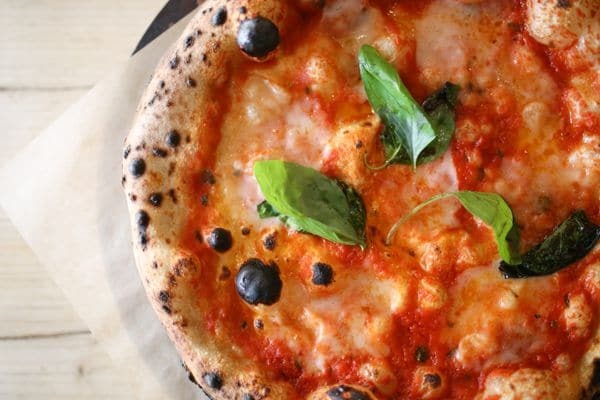 at Purezza, it’s also lower much in calories; pizzas are between 480 – 620 calories. Compared to a ‘typical’ pizza, from a fast food chain or supermarket, this is the equivalent of just 2 or 3 slices. Nearly all of our dishes are gluten free, and pizzas can be made with gluten free or hemp bases at no extra cost. We also have a selection of raw food dishes and gluten free pasta dishes. It is not all about savoury dishes either with a full dessert menu featuring a chocolate calzone and Oreo pizza. 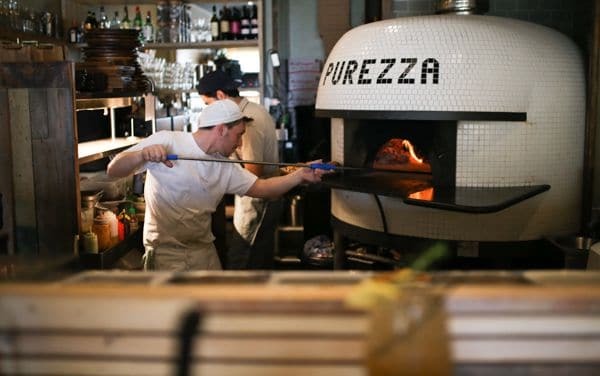 The fresh ingredients used in Purezza are hand selected each morning to ensure they are of the highest quality. Great care and responsibility is taken every day to ensure that everything from the food, to the coffee, to the packaging and recycling are as environmentally friendly as possible. 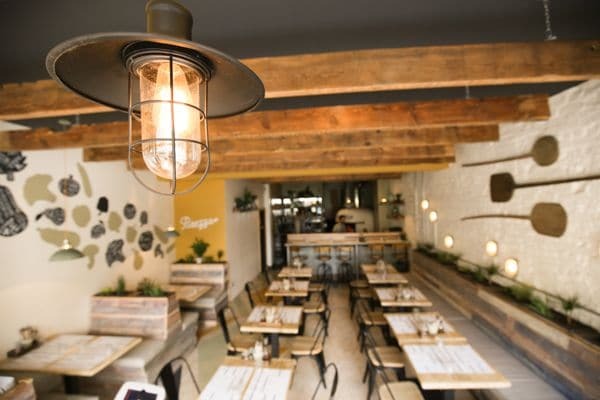 The restaurant has a wooden and rustic feel to it, with bar stools at the counter where you can take in all the drama of the large wood fired pizza oven. Proud of our plant based ethos, the restaurant has live plants situated around the room putting the diner in touch with nature. Can’t make it in to see us as you are too busy? Not a problem. You can enjoy our pioneering plant based dishes in the comfort of your own home via our partners at deliveroo. Purezza is getting better and better, in the beginning I didn’t think they’d make it, but they’ve adapted, improved and redecorated. This is I valiant effort to make something that people really want to work, work – I applaud them for it 👏. 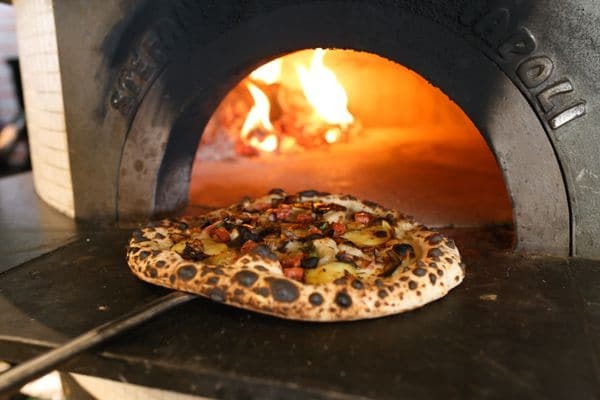 The pizza bases rival Fatto Mano or other great pizzerias but the toppings are all vegan and seem to switch around from fake meat to great use of veggies, so if you’re one or the other keep checking in. There are a lot of exciting dishes at Purezza, from their vegan cheese board to the calzone dessert. The ingredients are fresh and the flavour combinations are innovative. You can also order Purezza to eat at home with Deliveroo.